Showing of the impressive work from my summer workshops for adults, taught at a Chautauqua in northern Michigan, called Bay View. 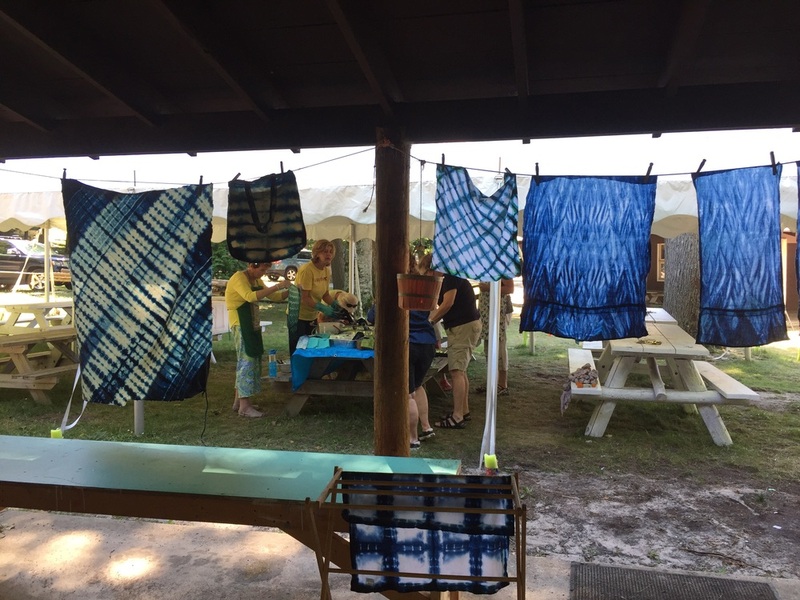 Introduction to printmaking and indigo dyeing were very popular classes this summer and my students were wonderful! A students first Monoprint, complete with a rainbow roll and added texture. A big success! This student already sewed a jacket from her indigo fabric.